Brian George has joined Henderson State University’s Huie Library as its new electronic web services librarian. George previously served as adult services supervisor at the Midland Public Library in Midland, Texas. He received his Master of Library Science degree from the University of North Texas in 2014. George replaces Lacy Wolfe, who is now serving as the library’s information literacy and reference services librarian. Dr. Victor Claar, professor of economics at Henderson State University, was recently quoted in a WalletHub article about the diamond market. — From left: Allie Featherston, Denise Cordova, Leroy James, Leah Hasley, Jennifer Wright, Salina Smith, and Kristie Wilson. Not pictured are: Lauren Avery, Auston Hudson, and Natalie Scrimshire. Henderson State University’s Staff Senate honored 10 staff members who recently earned their graduate or undergraduate degrees. They were recognized at an awards luncheon May 12. • Kristie Wilson, education specialist coordinator for Veterans Upward Bound, Masters of Education in Learning Systems Technology. The Staff Senate also presented its annual $100 scholarship to Marie Hart, an administrative specialist for Veterans Upward Bound. Dr. Kevin Riley, assistant professor of recreation at Henderson State, has joined the advisory board for Parks & Recreation Magazine. He will attend a board launch meeting May 19-20 in Chicago. Riley earned his Ed.D. in health, kinesiology, recreation and dance from the University of Arkansas. He joined Henderson in 2014. The Parks & Recreation Magazine Advisory Board consists of National Recreation and Park Association members representing urban, suburban, and rural communities. Members are chosen for their innovative ideas and their creativity in the field of parks and recreation. Staff employees at Henderson State University were honored for years of service during a luncheon and awards ceremony held May 12. 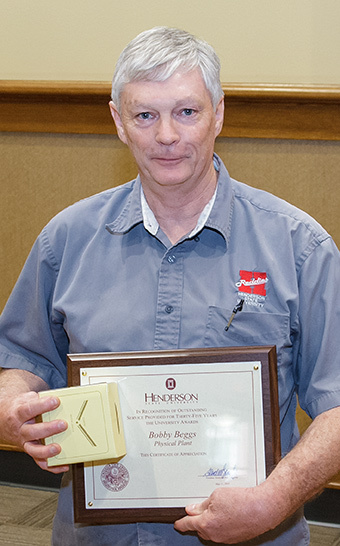 Mike Beggs, a skilled tradesman for the physical plant, was honored for 35 years of service to Henderson. Carolyn Hatley, a fiscal support specialist, was recognized for 30 years of service. Judy Hackworth, administrative specialist for university police, was honored for 25 years. Recognized for 20 years were: Johnny Campbell, chief of university police; and Ginger Otwell, institutional research associate. Receiving awards for 15 years of service were: Angie Bradshaw, administrative specialist for athletics; Judy Harrison, dean of Teachers College; and Pat Helms, aviation technician. Recognized for 10 years were: Stephanie Bailey, institutional services shift supervisor; Amanda Baker, resident hall area coordinator; Paulette Blacknall, director of Educational Renewal Zone; Yvette Bragg, administrative specialist for graduate school; Stacy Frazier-Weeks, administrative specialist for registrar; Matt Gordon, assistant football coach; Tim Hughes, skilled tradesman; Lenette Jones, assistant athletic director for internal affairs; Randy McCauley, information systems analyst; Canny Lee, library tech-academic support; Connie Loy, administrative specialist for Garrison Center; Rene Loy, administrative specialist for Teachers College; Justin Wade, institutional services shift supervisor; Gloria Williamson, library tech-academic support; Kristie Wilson, education specialist coordinator for Veterans Upward Bound. For five years of service, the following staff were recognized: Sherrill Allen, institutional services assistant; Teresa Bird, institutional services assistant; Angela Bobus, financial aid specialist; Julie Cissell, administrative specialist for student and external affairs; Keewyonne Delaney, public safety officer; Stephen Franklin, skilled tradesman; Patsy Gatlin, institutional services assistant; Paula Golden, administrative specialist for advanced instructional studies; Josh Hebig, maintenance assistant; Cody Hooten, head baseball coach; Dawn Kindred-Mabery, payroll technician; Elaine Kneebone, general counsel; Teresa Mann, administrative support supervisor for physical plant; Tonia McBay, administrative support specialist for residence life; Jacob Mills, instructional technology support technician; Erin Poe, education specialist/counselor for disability resource center; Carrie Roberson, director of institutional advancement; Tricia Wempe, education specialist/talent search counselor. Recent retirees were also recognized, including: James Tinzie, physical plant (eight years); Marilyn Morrison, testing center (15 years); Eddie Summerville, physical plant (17 years); Twyla Buck, business office (20 years); Matthew Buckley, physical plant (20 years); Lonnie Smithpeters, physical plant (21 years); Larry Strother, physical plant (22 years); John Barentine, physical plant (22 years); Judy Hackworth, university police (25 years); Tom Gattin, registrar (26 years); Dennis Rowe, physical plant (28 years); Daniel Smith, physical plant (32 years); Horace Plum, physical plant (33 years); Mike Beggs, physical plant (35 years); and Vera Nelson, physical plant (36 years). 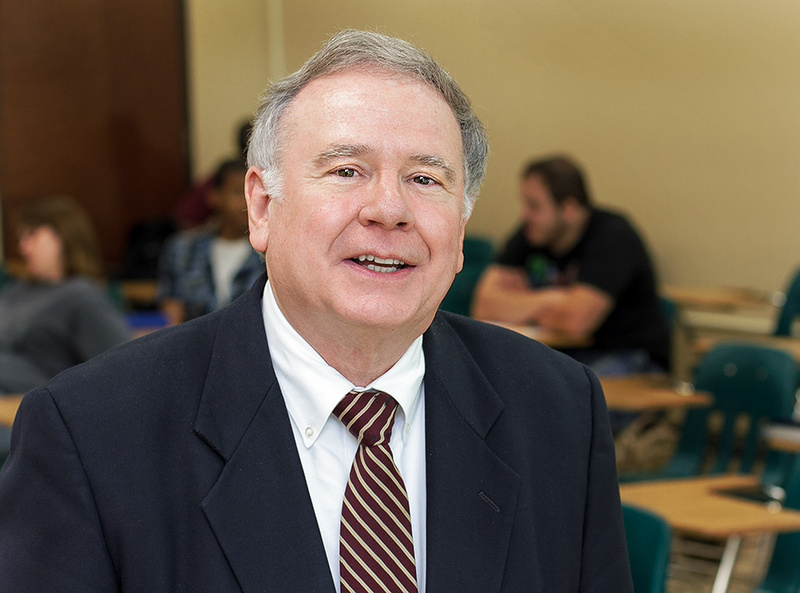 An endowment honoring Dr. John Graves, professor of history and chair of the social sciences department at Henderson State University, has been established by an anonymous donor. Entitled the John William Graves Award of the Arkansas Historical Association, the endowment monies will be administered by the Arkansas Community Foundation. Income from the permanent endowment will be used to fund an annual award for outstanding research and scholarship focusing on the history of race relations in Arkansas or the history of African Americans in Arkansas. 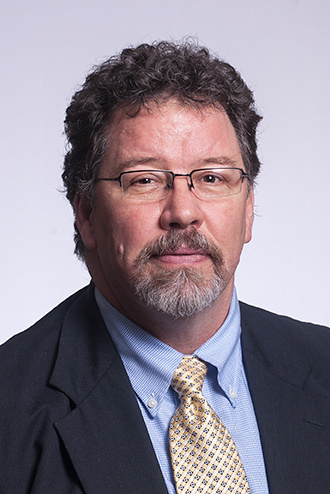 Graves is past president of the Arkansas Historical Association and author of the book Town and Country: Race Relations in an Urban-Rural Context, Arkansas, 1865-1905, published by the University of Arkansas Press. He also serves on the advisory board of the Mosaic Templars Cultural Center of the Department of Heritage. 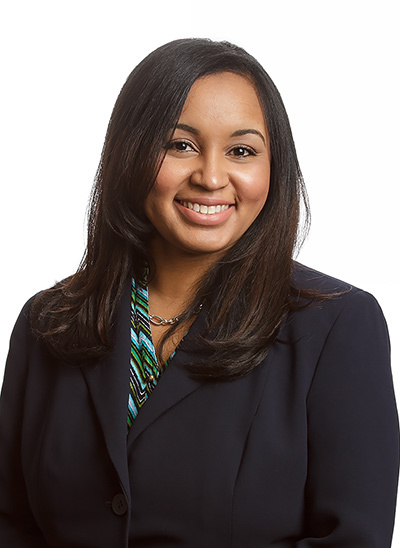 Dr. Shaneá Morrison Nelson has been named assistant director of the Ronald E. McNair Postbaccalaureate Scholars Program at Henderson State University. Nelson was a McNair scholar during her undergraduate studies at the University of Louisiana at Lafayette. Nelson holds a Ph.D. in educational leadership, research and counseling from Louisiana State University where she served as assistant director of the McNair Scholars Program. Prior to joining Henderson, Nelson served as the director of student success at the College of the Ouachitas in Malvern where she developed and implemented a comprehensive student development and retention program for at-risk students. “I am enthused to be a part of the TRIO team at Henderson,” Nelson said. “I have a great vision for Henderson’s McNair Scholars Program. I plan to promote a cohort of students who lead Henderson’s standard of excellence in undergraduate research and preparation for the pursuit of graduate study. Nelson said she has already started recruitment efforts by reaching out to faculty members to discuss her vision of intentional program design, collaboration and getting scholars connected. The McNair Scholars Program at Henderson prepares low-income, first-generation and minority undergraduates for graduate study at the doctoral level. Funded by the U.S. Department of Education, McNair targets undergraduate students who are highly motivated and civic-minded and prepares them to enter and complete graduate school through their involvement in research, scholarly activities, and support services. Each year, 25 McNair Scholars participate in activities that include research, preparing for graduate school, teaching, and more. The McNair Scholars Program aims to increase the number of groups underrepresented in doctoral programs. Nelson said students also begin graduate school preparation during the SRI and develop plans of action for the academic year. The McNair program is staffed by scholar coordinator Kyle Jones, whose responsibility is to maintain the daily academic and social activities of the program. Jones closely monitors students’ progress to ensure that they are on track to accomplish their individual academic goals. Administrative specialist Melanie Wofford plays a key role in the recruitment effort, maintaining documentation of all McNair Scholars research and graduate school preparation activities. The McNair program is seeking to fill 11 slots for the 2015-2016 school year. Recruitment will take place this fall with Nelson and Jones making numerous presentations to classes, student organizations, and university committees. Dr. Pamela Bax, director of Henderson’s TRIO programs, said the McNair program is interested in seeking STEM students wanting to pursue STEM graduate education. “A McNair research study revealed that a lack of participation in McNair activities and lack of STEM role models were factors that impeded students’ progress and success in STEM education,” she said. The study also revealed that encouragement from HSU faculty and staff, participation in STEM pre-college programs, and having a high interest in STEM education were high motivating factors for students. “We conducted this study so that the McNair Program can understand what interventions are needed to help low-income and first-generation students develop and maintain an interest in STEM education,” Bax said. Students interested in learning more about Henderson’s McNair Scholars Project and the application process can contact Nelson at 870-230-5100.